People First members meet with the Governor's Office quarterly to discuss issues such as employment, transportation, and long-term care. 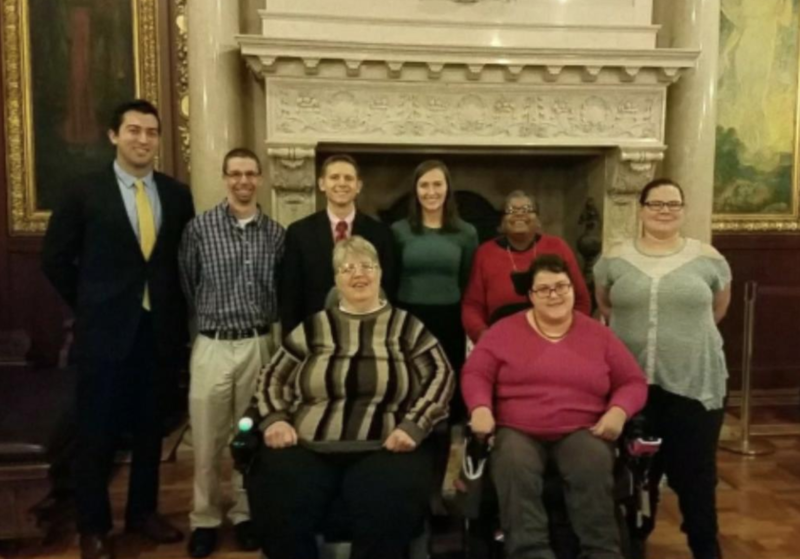 People First Wisconsin is a statewide self-advocacy organization for people with disabilities. By joining together in groups, individuals with disabilities learn to speak up for themselves, share ideas, friendships and information. CALL OR EMAIL TO SCHEDULE A SMALL GROUP VISIT.